Millions of candidates will be writing this year’s Post UTME Screening test, and except the school will be admitting students directly, then you MUST participate in the school Post UTME screening to be eligible for Admission. In Most Nigerian Universities, you must score the required Cut off Mark or above and participate in the Post UTME Screening to be offered admission. Seeing the stress most students pass through when preparing for the Post UTME screening, I decided to write this guide and show you, a much more successful pathway that will make this examination easy for you. Using the below tips, we promise you, that you’ll be passing your school of choice post utme exams with flying colors. 1. 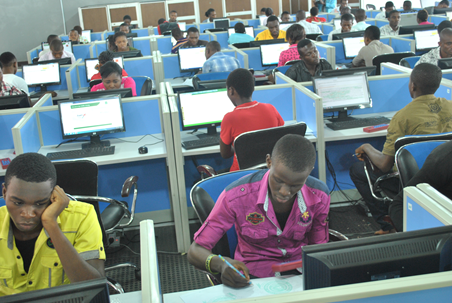 Whenever you are offered any subject in UTME, you are advised to pick up their Jamb past questions from 1978-2018 study them and also before you solving them, go through the English language due that most institution Post-UTME screening contains more of English Language questions than other subjects. I advise you to refer to Jamb brochure to see the subjects for your course. Honestly, I can not just stress it out enough. ALL candidates sitting for the Post Utme exercise should note that past questions are absolutely necessary and extremely important for you. Here is a success story of a candidate who got admission into Unilag the very first time! He sat for his post utme at the University of Lagos and got admitted for his course, scoring 78% without paying anyone one Kobo. The next question is this: How Can I Achieve this Feat? I promise not to hide anything from you. Here are the 4 top notched secret weapons to axing any examination and you can do it too. Read all the syllabus for your four basic subjects. Make sure that you solved every year’s Past questions. Then make it a point to go back and read those topics again very well. I hope that with the above secrets, you can make it out with flying colors, shining bright like a diamond! We’re wishing you, the very best and don’t forget to share this information with your friends on Facebook, Twitter and Googe+, using the share buttons below. Please before one week before the examination, you are advised to buy your school’s Past post-utme questions go through it and observe how they lift questions from Jamb questions yourself. The best time to prepare for the forthcoming post utme examination is while there is still time. 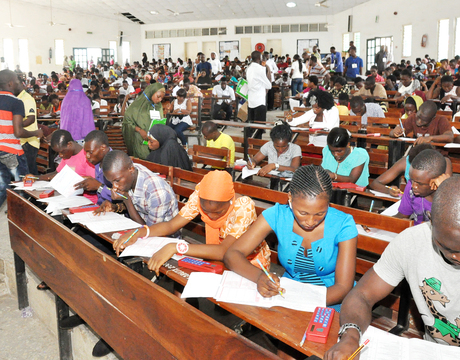 Are you aware that more than One Million (1,300,000) Nigerians registered for the 2015/2016 UTME Examination? Don’t be surprised yet, here’s the Big One. The truth is that out of a Million people who registered for UTME, just about Ninety Thousand (90,000) candidates will be admitted in Nigeria Universities by the end of the year. This ratio is only about 09.11% of 100%. The question which you might want to ask is this: What happens to other candidates not admitted? They either go to NUC accredited institutions which accept Lower JAMB scores or wait for next year and participate in another jamb cbt examination. Wasting money and most importantly, wasting their precious time. This is the reason why you should ensure you prepare for the post utme examination. Dailyschoolnews advise that you should not and never depend on any form of malpractice or someone helping you because on that day, sorry might be your name and also you do not have to be dependent after going through the aforesaid steps. Was this post, useful? If yes, please just share the post with your online friends on facebook and twitter by using the below share buttons. Thank you and you can share your thoughts, comments via the comment box below.